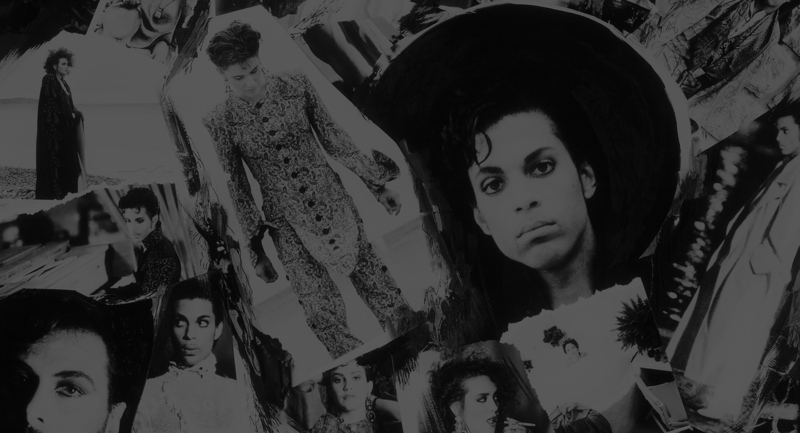 Released with the subtitle “Music from the motion picture Under the Cherry Moon,” Parade is Prince’s second soundtrack album, and the third and final album he would release with his band the Revolution. Remarkably, work on Parade began in April 1985 — the same month that Prince wrapped up his six-month Purple Rain Tour, released his follow-up album, Around the World in a Day, and mixed a new album from his side project, the Family. Inspired by working with the famed composer and arranger Clare Fischer on his album for the Family, Prince tapped Fischer to orchestrate the songs on Parade, and the collaboration helped to give the album a lush, cinematic feel. “Special thanks 2 Clare Fischer 4 making brighter the colors black and white,” Prince would write in the liner notes, accentuating the importance of Fischer’s contributions to his ever-evolving sound. Parade also expands on the world music influences that were evident in Around the World in a Day; the French vocals of costume designer Marie-France Drouin on the track “Girls & Boys” helped to root the album in the South of France, where Prince would spend much of the rest of 1985 shooting Under the Cherry Moon. All of Europe would embrace Parade when it was released, and the album would sell more copies abroad in Europe than it would in the U.S., a first in Prince’s career. The first single from Parade, “Kiss,” became a smash hit around the globe, sold over 1,000,000 copies in the U.S., and remained at the top of the Billboard Hot 100 chart for two weeks. NME voted “Kiss” the best single of 1986, and earned Prince a Grammy Award for Best R&B Performance by a Duo or Group with Vocals, and a nomination for Best R&B Song. The full album was also certified gold in Australia and Germany, and platinum in France, the U.K. and the U.S., and was named one of the best albums of 1986 by the Village Voice and NME. After taking a break from touring to focus on his studio projects and filmmaking, Prince returned to the road with the Revolution for a month-long Parade Tour, performing a three-night stand at the Wembley Arena in London, traveling through the Netherlands, Scandinavia, France, and Germany, and wrapping up with four dates in Japan. In addition to the core members of the Revolution, Prince was joined on tour by horn players Eric Leeds and Atlanta Bliss, guitarist Miko Weaver, and dancers Greg Brooks, Wally Safford, and the Time’s Jerome Benton, who starred in Under the Cherry Moon alongside Prince.